Hydrangea is a flowering shrub plant native to Southeast Asian countries, as well as in the Americas. This flower can be found in most flower gardens in America and is usually admired due to its vibrant colors. 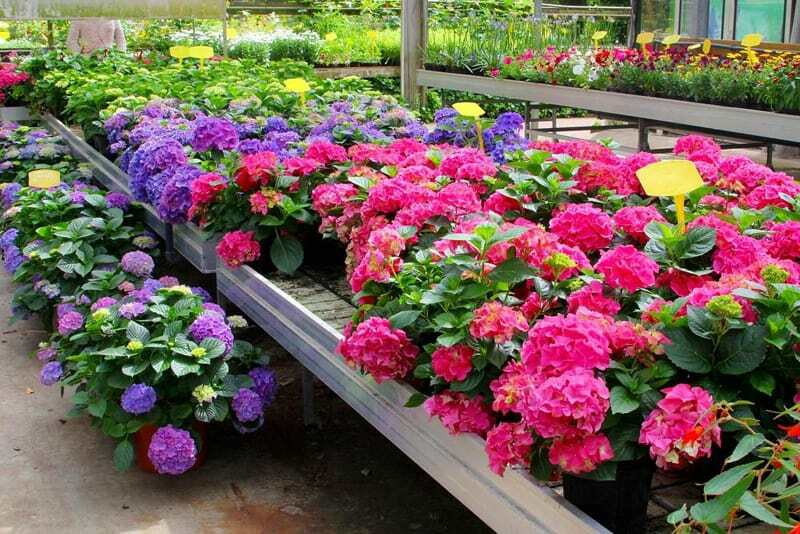 Hydrangea colors will change depending on the pH content of your garden soil. Its color ranges from blue, pink, red, and lavender depending on the pH of the soil. 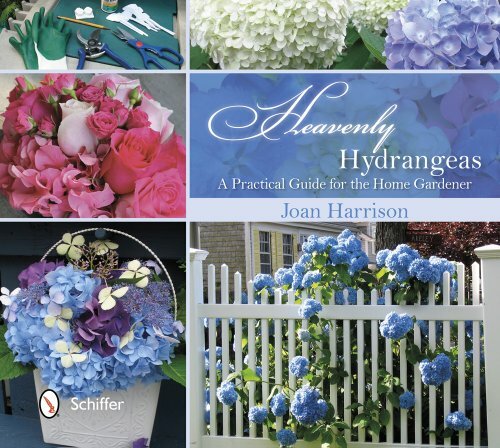 Let’s see how to care for hydrangea plants! According to The Old Farmer’s Almanac, this flowering bush can be grown and cultivated easily. But, is it really that easy to grow hydrangeas? Does it mean that it needs less care at all? If not, the big question is ‘how to care for hydrangea bushes’? 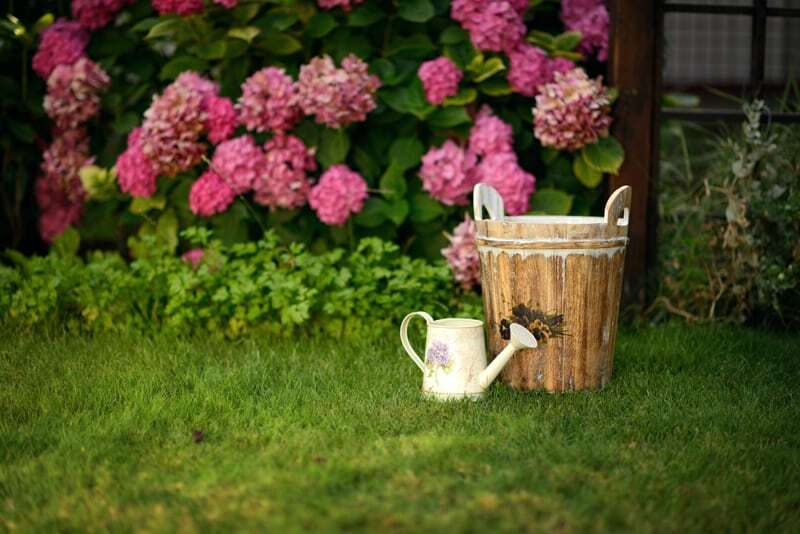 Let’s look at what you can do for your hydrangea plants to keep them blooming and thriving. Adding hydrangeas in your very own garden is a great idea, and it is possible to do so since you may plant hydrangea bushes in several ways. Here are the different ways to plant hydrangeas. In this method, you just have to choose a non-flowering hydrangea shoot from the mother plant. Cut the hydrangea shoot from the base of the mature hydrangea. Choose the one with a woodier part and with at least 5 to 6 inches long. You may also include some of its roots when you cut it. It is better if you cut it during the morning when the leaves are not yet wilted due to the heat of the sun. In this method, you just have to cut an older stem of hydrangea. Choose your favorite container to plant it. Place a rich soil into the pot and plant the cutting. It would be better to dip the cuttings into a rooting hormone before sticking it into the soil. 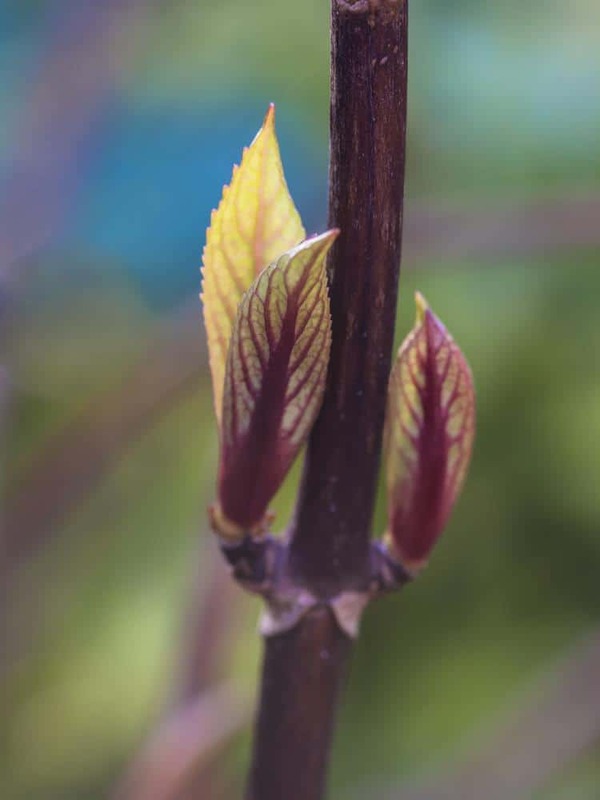 Trim half of its older leaves, because this will make the hydrangea cutting grow more roots. Water the plant regularly. This method is much safer to do since there is a greater chance for your hydrangea cuttings to survive. Just choose a lower branch of the plant and lean it until it touches the soil. Place a stone, brick, or wood on it to weigh it down. Water it regularly to grow roots on the cuttings. If the roots are already showing, then it is time to cut the branch. You may remove the cuttings using a shovel and transplant it to your desired area or pot. Cut an older stem from a mother plant with at least 5 to 6 inches long. Dip the cuttings into the water and let it stay for several days. Wait until the roots grow from the cuttings and transplant it to a garden pot or your favorite spot in the garden. 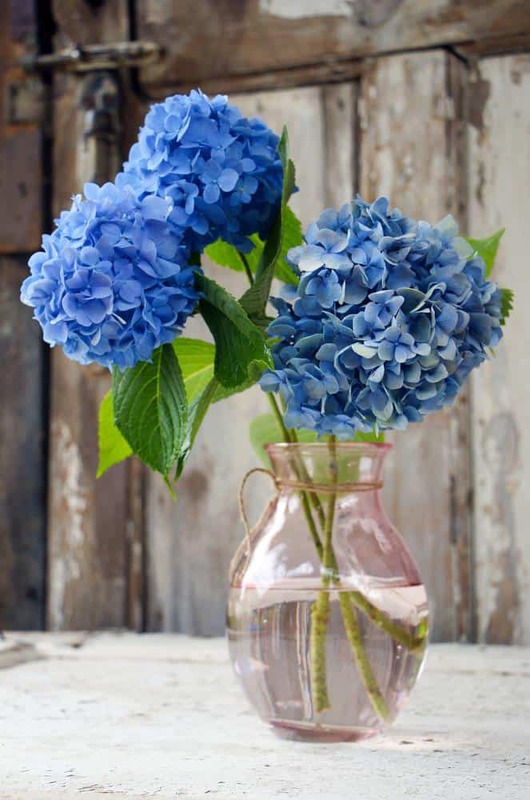 The stems of the bouquets of hydrangea dipped in water can also be used. The ideal season for planting hydrangeas is during the early spring or fall. When you place hydrangeas in your garden, make sure that they are protected from strong winds and the direct heat of the afternoon sun. 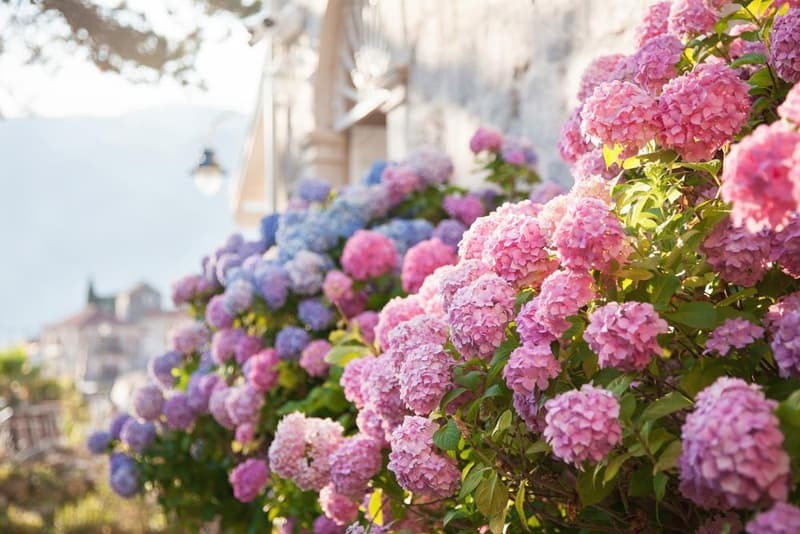 Though hydrangea bushes only need little care, these tips will help you to have very nice blooms in your garden. Here are just a few ways to care for hydrangea plants. When you plant hydrangea cuttings, make sure to monitor the hydration of the garden soil. If the soil is too wet the roots may rot, making the plant die eventually. If the soil is too dry the plant will also die since it cannot complete its process of making its own food due to the absence of water. 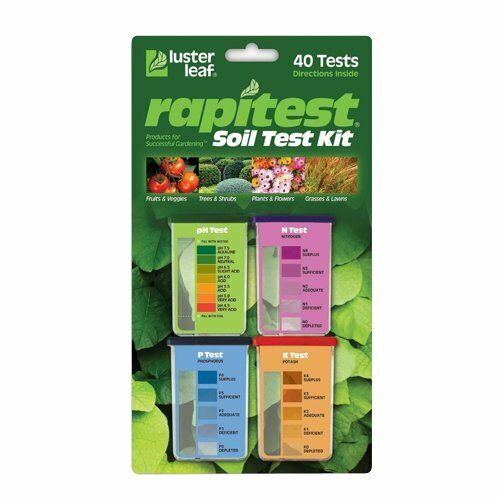 It is better to use test kits to identify the hydration level of your garden soil. 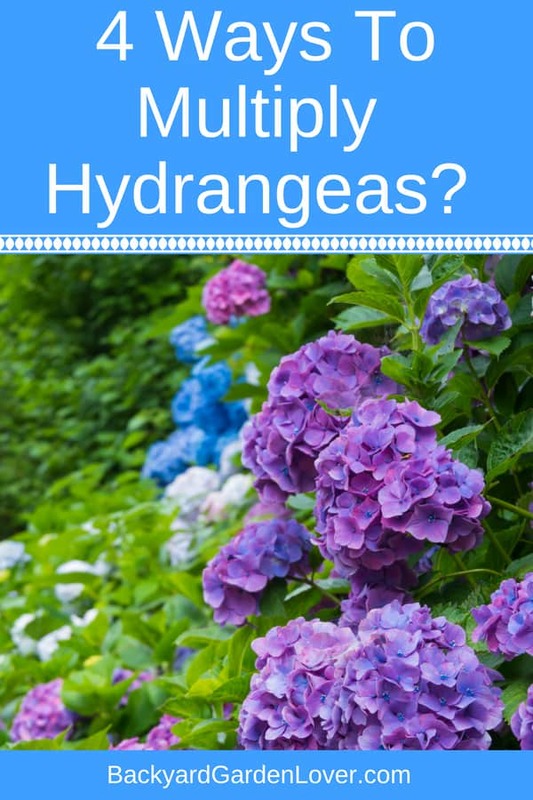 Hydrangeas change colors depending on the pH content of the soil. According to The Old Farmer’s Almanac, acidic soil with 5.2 – 5.5 pH level produces blue colored flowers. As the PH in creases, the color will start to turn pink, going through shades of purple and lavender turning shades of pink above PH 6. If you hydrangea plant has white flowers, it must be a variety that doesn’t change colors and won’t be affected by the soil’s pH level. 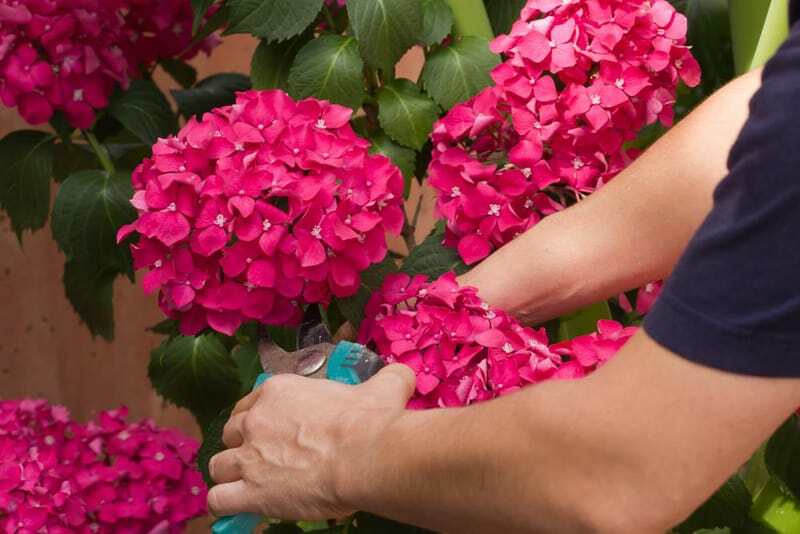 Pruning plays a great role on how to care for hydrangea bushes. It is said that the more you prune hydrangeas, the more it blooms. Remember that pruning should be avoided during late summer since flower buds usually develop during this season. Some varieties of hydrangea (like the Penny Mac Hydrangea and the Oakleaf Hydrangea) bloom on both old and new wood and do not need pruning . However, there are varieties that really need more pruning to avoid overgrowth and to encourage the growth of new wood where blossoms prefer to bloom. These varieties include Smooth Hydrangea and Peegee or Panicle Hydrangea. 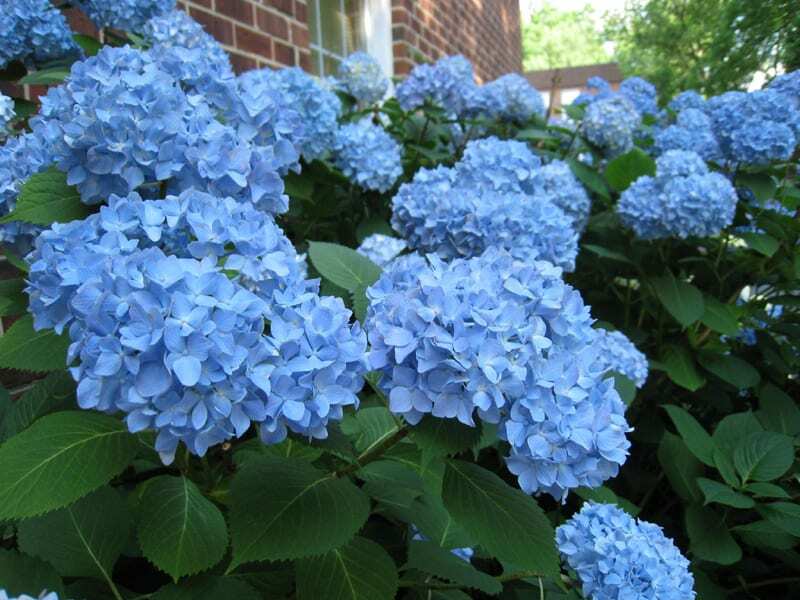 Hydrangeas need to be fertilized to help in the healthy growth of the plant. 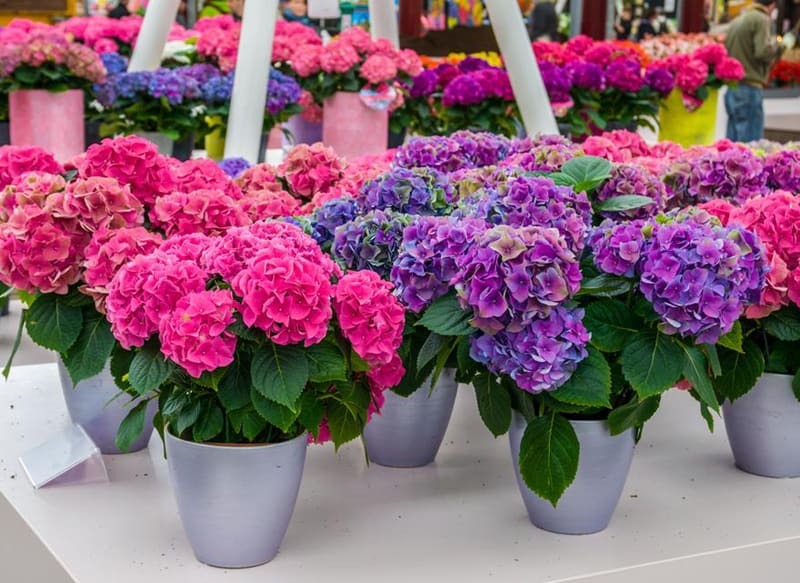 However, be careful since fertilizers may affect the pH content of the garden soil which may lead to the change of the color of your hydrangea. 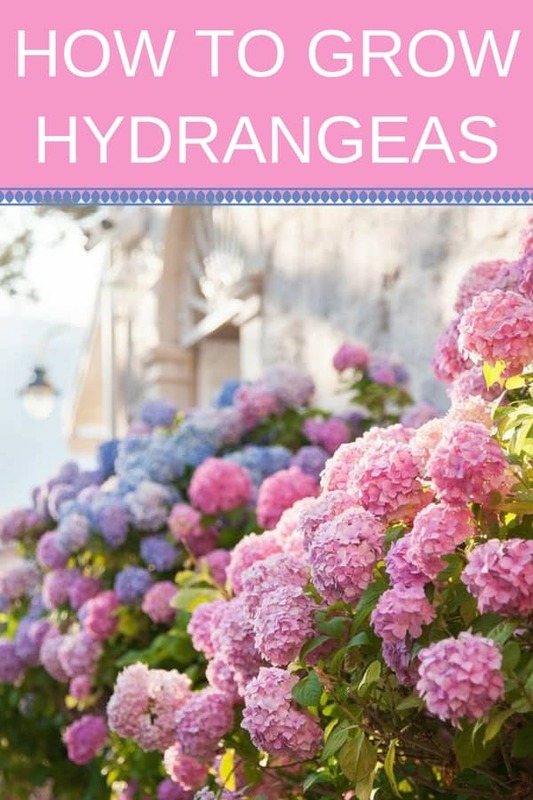 Now that you know how to care for hydrangea plants, you can add your preferred variety of hydrangea in your very own garden. Go ahead and have that stunning glory that your garden will have when your hydrangeas bloom its beautiful flowers. Are you fertilizing them? Did anything change in the sun/shade balance? I have 3 hydrangea bushes, 2 of one variety and one of another. The bushes grow beautifully and full each season, but have not grown one single flower in the 3 years I’ve lived here. They were here when we moved in. I believe they are too close to each other, but don’t know if this is the problem? I researched and found differing opinions on whether to cut the old wood down each season, so we have tried both cutting and not cutting. Still no blooms. Probably over-pruning: Most hydrangeas, including all the mopheads (the most common — the variety in all of these photos) grow on last season’s wood (stems). If you cut off those stems you won’t have flowers. A friend radically pruned her hydrangea: Did not have flowers for three seasons! So prune very judiciously, and only in very early spring (Feb. or early March in the northeast). What should I do to my Bush in the fall? Trim it down or leave it alone? Donita, It depends what type of hydrangea you have. Did you read the article? 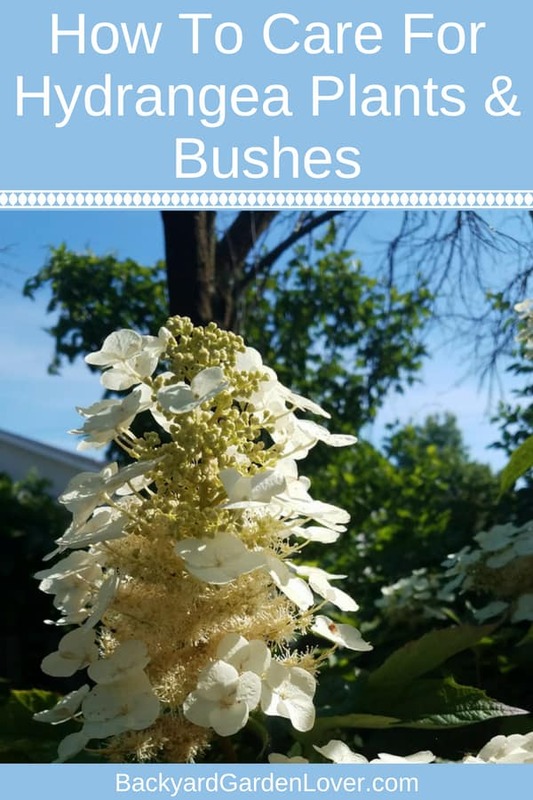 There’s a section about pruning hydrangea bushes where you’ll see some suggestions. We moved into a new hone in south Carolina. I have 2 hydrangeas. one is under a tree and the other is on the north side of the house. There is a row of azales in front of it. How can I tell what kind of flowers these are? I i thought I would share this with my other hydrangea loving friends..i have rooted them both with Root Tone in a pot and in water as well…however i heard of a lady that encircled her whole big wrap-around Victorian porch with mopheads by simply using a lay-over technique…it works! Simply lay over an outer branch …bending carefully as not to snap…weight it down to a spadeful of good quality outdoor planting mix with a brick or two. (Keep an eye on it so it doesn’t dry out)Eventually it will take root where there is a leaf joint and can be snipped away from the mother plant. I’ve done this with my penstomen as well. Happy gardening! I have a plant that was given to me and planted by a neighbor who is a landscaper. My plant has never bloomed and never had any blossoms. Am I doing something wrong? I water and use plant food starting in the spring. My Incrediball hydrangea started growing but the leaves always droop and eventually dry up. What is wrong? Are you watering it enough? Hydrangeas need to be kept moist. Or, is it in full sun? It might be too much sun for it. And lastly, if the leaves turn yellow before drying up and falling off, you might have a fungus. Is it possible to fertilizer too late in the season for my oakleaf plants to bloom. I don’t ever prune them. I planted a new one last year and it’s not big but should be a good size to bloom. But I fertilized twice and nothing happens. What time of year in Zone 7 should I start fertilizing? I thought there was something wrong with my hydrangea plants because I would only get one or two flowers. After we had a light snowfall, my husband noticed deer footprints by the bushes – mystery solved! The deer were eating the tender buds thus no flowered the next season. Awww… i’m sorry. Yes, deer loves hydrangeas. Add some human hair around the base of your plants (go to your hairdresser and ask for some), and it should keep them out of your hydrangea bushes. Just moved into a new house it already has a Hydrangea plant but the flowers are green. Can these be changed? Wait till next spring/summer. Some of the pink and blue hydrangeas turn green as they age. And some of the white ones turn green a couple weeks after blooming. I’m not sure which kind you have but you’ll love them no matter what! How much epsion salt do you mix with water to get them to a deep blue?